Shakedown Festival is an annual day event held just outside Brighton, playing host to some of the biggest DJ names in the country. For the past two years, EHP have been contracted to provide staging for the event. 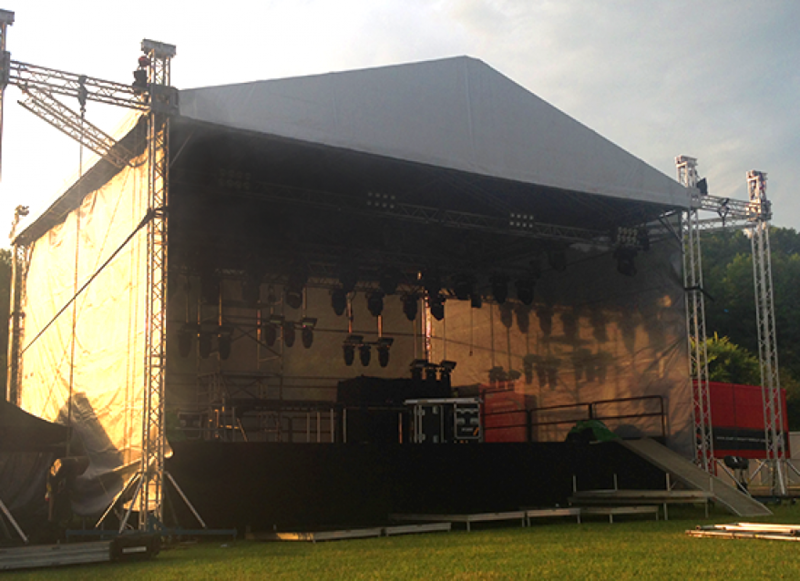 To provide all staging and covered stage structures for the festival. For two years, EHP have provided the organisers of Shakedown with the best possible staging solutions for the event. The Milos MR2 covered stage with additional wings acted as the main stage, with a further four stages underneath big top structures dotted around the site. This event is one of our favourite to work on, as it is built across a vast, flat field in August, meaning a good chance of beautiful sunshine, little rain and easy erecting of the staging. Last year, a team of eight managed to complete all staging and covered areas in just one day, and break it all down again in just six hours – we look forward to this year’s festival!